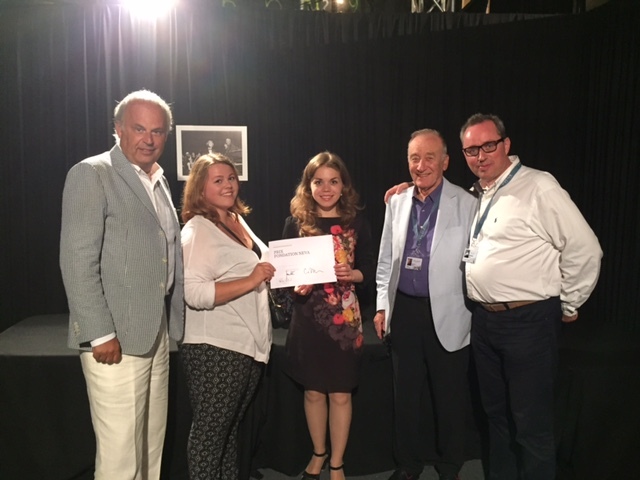 With a cooperation starting from 2011, Neva Foundation keeps on supporting the 22nd edition of the Verbier Festival to be held from 17 July-2 August 2015. This partnership focuses on three areas: the Verbier Festival Academy, the Verbier Festival Music Camp and the Prize of Neva Foundation. The Verbier Festival Academy allows young musicians to participate in a unique international artistic community. These young talents participate in masterclasses led by great musicians, they play chamber music together and share many creative ideas. This year, a group of singers will take part in various activities around the theme of Puccini's La Bohème. With the support from Neva Foundation, nine young musicians, seven Russian and two Swiss, will work together and live a real cultural exchange experience. The supervision will be done by three renowned professors: Yuri Bashmet, Boris Kushnir and Ana Chumachenco. All the Academy's activities are open to the public. The Verbier Music Camp begins on July 6th for three weeks. It brings together 60 young musicians of exception, aged between 15 and 17 years old, selected from around the World. An intense program awaits them: coaching, private lessons, orchestra rehearsals and public performances, according to the standards of excellence, creativity and education of the Verbier Festival Orchestra. The experience gained during their stay will provide participants incomparable skills. The two main leaders are Daniel Harding and Dima Slobodeniouk. In this context, Neva Foundation allows this year to fifteen outstanding young Russian musicians to participate in this exceptional musical camp. The Prize Neva Foundation rewards at the end of the festival a student of the Academy or Music Camp. This award is presented to an exceptional talent to allow him to continue his promising career. At the Verbier Festival, many illustrious Russian talent will be present, such as Valery Gergiev, Denis Matsuev, Alexander Melnikov, Mikhail Petrenko, Grigory Sokolov or Daniil Trifonov. A special tribute will be paid to the legendary ballet dancer Plisetskaya Maiia through the music of Rodion Shchedrin.